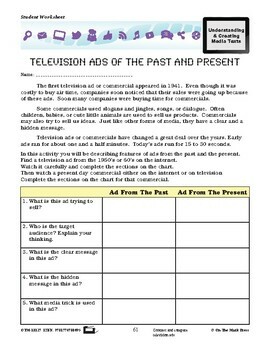 This lesson plan includes a short history of television. Your class will be asked about their favorite TV show and answer questions. Television Ads of the past and present will be compared. There is a group activity that will allow your students to create their own television commercial. Your class will learn about “breaking news” and “on location report”. The last activity, TV turnoff and how watching too much television is unhealthy will give your students the chance to think of things to do besides watching TV. 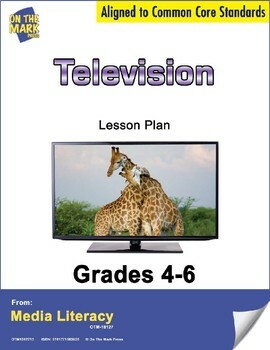 Meets Common Core by expressing an opinion about television, identifying and describing products advertised in commercials, contrasting and comparing television ads, creating your own television ad, contrasting and comparing television news stories and brainstorming to create a list.